From Union Creative. These flexible Cats love doing yoga! 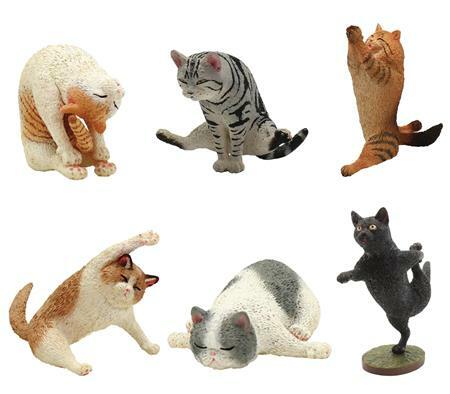 Collect all of the 6 designs of different cats in yoga poses. Each fuzzy kitten stands 3.15' tall and comes in a blind bag so collecting is a fun surprise! Blind packaging.